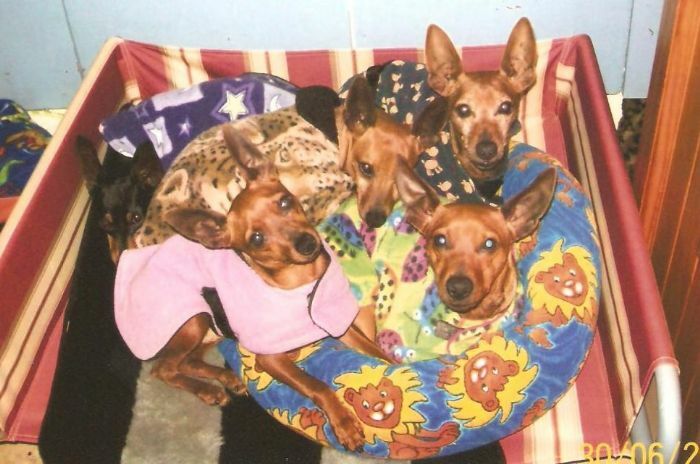 Please remember when it is too cold for you to go out in a T-shirt, it is too cold for your Min Pin to be out without a coat on, I have supplied you with a double polar fleece coat, so you will also need to purchase a rain coat for those rainy days and nights. A Min Pin does not have a great deal of hair so if you plan to have him outside sometimes in the cold weather, remember to put a coat on them and provide a warm kennel in a sheltered position with lots of blankets for them to snuggle up in. If you are inside with the heater on bring your Min Pin in too, whilst they are small and not house trained, you can confine them to the kitchen or in a puppy pen with a bed and some toys. Just like us Min Pins can get cold ears and they can become dry and sore around the edges, if this happens, apply some Paw Paw ointment, Savlon or similar type of cream gently around the edges of the ear. You may need to increase the amount of food a little to help them keep a good weight. You can buy microwaveable heat pads especially made for animals that stay warm for 8 to 10 hours. When the mercury dives, keeping our dogs happy, healthy & active requires a little extra attention. Arthritis in older dogs is a common ailment that worsens during cold weather, your dog may have more difficulty getting up or down stairs or find it hard to rise from the lying position. Vets offer both natural remedies & medications for arthritis & gentle exercise is also recommended but it is most important to keep your dog warm. Heated dog beds may provide some comfort of a night. If you dog is already on arthritis medication, be aware that his or her symptoms may worsen in the winter and the medication may need reviewing. Separation anxiety & boredom are two of the most common winter health issues for dogs. With the reduced daylight hours and cold weather owners often walk them less and spend less time outdoors, decreased contact with their owner can be very stressful for a dog, this often then manifests as destructive behaviour, digging, self-mutilation or excessive barking. Dogs are animals of habit, maintaining your regular routine will go a long way to keeping them happy. On hot days give your dogs an ice cream container ice block with a little mince steak mixed through, they will love it. With summer in Australia just around the corner we must take great care of our four legged companions. 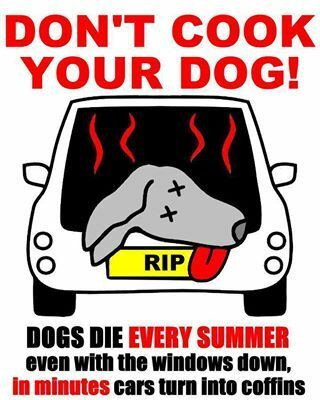 Every summer dogs die from heat stroke & the blame is in almost every case human thoughtlessness. These horrific deaths could have been avoided if those responsible had just taken a little more care of their dogs. Heatstroke occurs when normal body mechanisms cannot keep the body's temperature in a safe range. Animals do not have efficient cooling systems (like humans who sweat) and get overheated easily. A dog with moderate heatstroke (body temperature from 40º to 41.1ºC) can recover within an hour if given prompt first aid and veterinary care (normal body temperature is 38.3º- 39.2°C). Severe heatstroke (body temperature over 41.1ºC) can be deadly and immediate veterinary assistance is needed. Remove the dog from the hot area immediately. 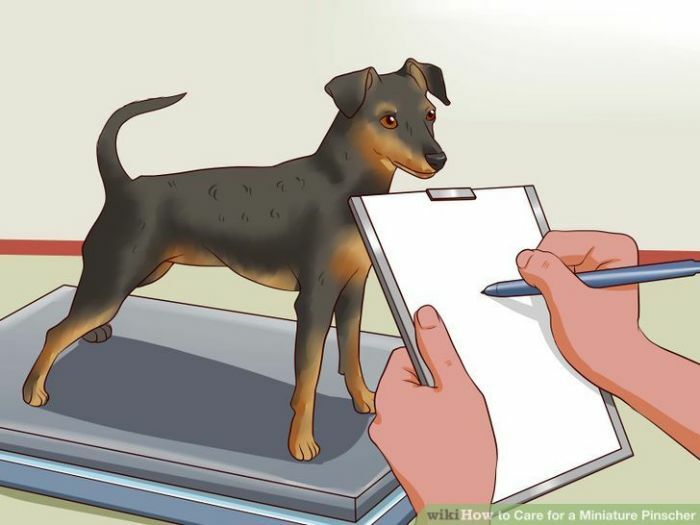 Prior to taking him to your veterinarian, lower his temperature by wetting him thoroughly with cool water (for very small dogs, use lukewarm water), then increase air movement around him with a fan. CAUTION: Using very cold water can actually be counterproductive. Cooling too quickly and especially allowing his body temperature to become too low can cause other life-threatening medical conditions. The rectal temperature should be checked every 5 minutes. Once the body temperature is 39.4ºC, the cooling measures should be stopped and the dog should be dried thoroughly and covered so he does not continue to lose heat. 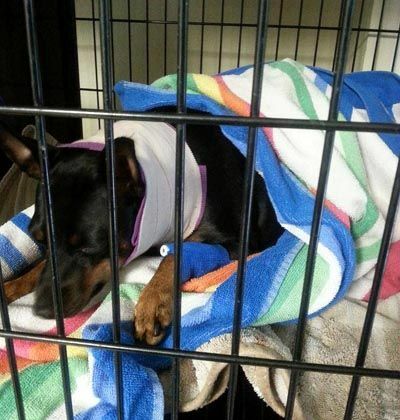 Even if the dog appears to be recovering, take him to your veterinarian as soon as possible. He should still be examined since he may be dehydrated or have other complications. Do not leave your pet in a hot parked car even if you're in the shade or will only be gone a short time. The temperature inside a parked car can quickly reach up to 60+ degrees. Make sure outside dogs have access to shade and water in the shade. To illustrate overheating there was a case of a Boxer that died from heat stroke, pulled out from a hot car on a hot summers day. The body temperature, one hour after death, was over 43.3ºC off the ordinary clinical thermometer. During the post mortem it was not possible to hold a gloved hand inside the abdomen of the dog, it was just too hot to bear. There are about 3000 snakebites to humans in Australia per year. For our dogs the rate is much higher, bleived to be about 20times as high!!!!!! THis is because our dogs spend a lot more time out in the garden, coastal, farm & bush areas where snakes are likely to be found. The survival chances for a dog bitten by an Australian snake depends to a degree on the type of snake & how much venom has entered the system of the dog. This article provides a rundown on identifying the symptoms of a snake bitten dog & the treatment options. Death can occur within 30 minutes to 2 hours. Depending on the type of snake venom and the amount of venom injected in to the dog. 2. Identify the type of snake. Only if it is safe to do so. Identifying the snake is important in order to match the antivenin. (colour, size, distinctive markings etc.) A vet can take a swab of the bite site using a snake detection kit to identify the snake venom but it can speed things up if you can either sight identify a snake or relate the type of reaction your dog suffered. These Images & Symptom overviews may hopefully assist you. 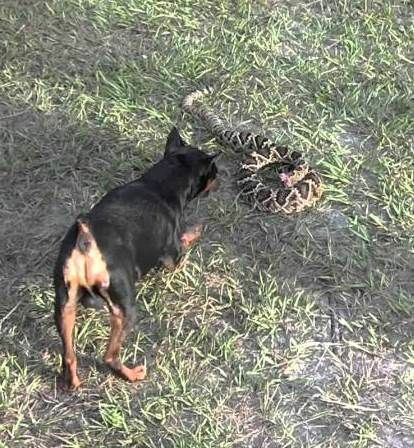 A dog bitten by this snake tends to react immediately becoming agitated & hyperactive. Not long after the dog will most likely collapse, it's tongue hanging out & the breathing becomes laboured. Lethargy sets in & the dog will either die or recover with appropriate & immediate treatment. The symptoms of a dog bitten by this snake can be swelling & inflammation at the bite site with profuse bleeding from the site. Drooling, wobble on legs. Gut pain with urine becoming colour of port wine. Immediate treatment by a vet. slow heart rate with internal bleeding. These three snakes are the most common ones found in Victoria. Be aware that some dogs will display the symptoms outlined in step one & then stage a brief recovery prior to suffering a total collapse. Do not bleed a dog this is a misguided tale. Australian snake venom travels through the lymphatic system. (A major part of the Immune System) So bleeding will not assist the dog & will simply weaken, hurt & stress the dog more. 3. Seek immediate veterinary attention. Ring your vet & tell them you have a dog with a snake bite coming in immediately. This will alert the vet to make arrangements to treat your dog ahead of any other animal in the surgery. It may also enable them to make logistics arrangements prior to your arrival at the surgery. This will ease any difficulties, such as ensuring you get a car space close to the surgery & pull out your dogs records for allergic reactions etc. that has been injected into your dog, the worse your dog's chances of survival become. However you & a helper can help prolong your dog's chances of survival by some basic treatment, especially during the car trip to the vet's. Apply a pressure bandage to a limb bite. Do not apply a tourniquet or bandage the wound too tightly, as the blood flow must not be impeded. Do not wash the bite area or CUT the wound. Keep talking to your dog & stroking it, it is good for both you & your dog giving a feeling of calm & reassurance. Carry your dog at all times as letting the dog walk will only speed up the spread of the venom. The vet will examine the site of the bite. The vet will determine the stage of envenomation of your dog. It might be necessary to take a snake detection test (blood or urine sample) then analysis of results. Treatment commences, usually via intravenous fluids & administration of the appropriate antivenin. There may also be a need for antihistamines allergy reduction drugs, painkillers or sedatives. 6. Expect recovery in 24-48 hours. If your dog pulls through, full recovery will take 1 - 2 days, but strict rest following treatment is recommended from 24 to 48 hours. However recovery isn't the same as being well & you will need to set aside time to nurse your dog back to full health. Avoid walking your dog in long grass. Always be very vigilant around areas of water. In summer look at where you place your dogs water bowl as snakes will look for water in times of hot weather & drought. Keep your yard, garden, sheds & other areas around your home clean & tidy. When traveling with your dog always pick a clear area to stop & walk your dog. Remember snakes are more active in the summer months & tend to hibernate during winter. 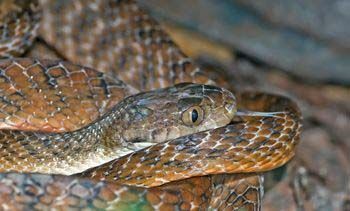 Early spring bites will carry more potence as the snakes venom glands have built up during hibernation. They are dangerous & even fatal to puppies & adult dogs. Some can also be transferred to humans, especially children . WHAT ARE THE DIFFERENT TYPES OF GASTROINTESTINAL WORMS ? Are eaten or penetrate the skin of paws & legs. Can also be transferred to pups through mother's milk. Can be fatal if the infection is severe. Weight loss, Loss of appetite, Bloated stomach, Black diarrhoea, Increased thirst, Lethargy, Dermatitis. Become infested by ingesting, through the placenta. Coughing, Diarrhoea, Vomiting, Pneumonia, Bowel obstruction, A dull coat, Swollen stomach. Dogs become infested by ingesting whipworm eggs. Infections in puppies can be fatal. Weight loss, Stomach pains, Diarrhoea, occasionally with fresh blood, Pale eyelids & gums, Dehydration, A dull coat. Dogs catch from swallowing infected fleas. May be more than 1 metre long. Not a major health risk. Tapeworm segments in faeces-look like grains of rice. May be more than 1 metre long. Not a major health risk. Dogs catch from eating infected internal organs of sheep, cattle, kangaroos & pigs in the country. Not a threat to dogs but can be life threatening to humans due to the formation of large fluid-filled cysts in the body. Minimise exposure to areas heavily contaminated with other dog's faeces. Remove faeces from yards & childrens play area's. Clean your dog's sleeping area regularly. Feed your dog quality food (not intestines). Wash your hands after handling your pet & before eating. Don't let your dog lick your face. Use a regular de-worming treatment at 2,4,6,& 12 weeks and then every 3 months for the rest of their life. The heartworm larve is passed onto the dog by mosquitos. They mutiply in the heart until they kill the dog. The dog must be given either a daily, monthly or yearly preventative, talk to your vet about this. Any variation from the normal warm & moist nose does not always play a crucial part in diagnosing disease. Moistening of the nose results from excess tears from the eyes travelling down the naso-lacrymal duct, just inside the nose opening. However, change in colour or consistency of the nasal liquids is abnormal. Yellow discharge indicates pus & if coming from both nostrils, usually stems from pneumonia which in turn could result from distemper or the inhalation of medication into the lungs rather than the stomach. Pus from both nostrils also may indicate a generalised infection of the sinus cavities, while pus coming from one nostril indicates a local infection or decaying tumour in one of the sinuses or even a decaying tooth root. If the discharge is offensive, the bone tissue is probably involved. Bleeding from the nose usually occurs after an accident, a tumour, poisoning, constant sneezing, from sinusitis or after violent exercise. Crusting on the top of the nose can be due to distemper or a fungal dermatitis. Dog travel sickness, or motion sickness, can make even a quick trip up the road a stressful experience for you & your dog. Fortunately there are things you can do to conquer pup's nausea & make travelling a tail wagging adventure again. Make the car ride as comfortable as possible for you dog, face front not to the side, make your dog face forward rather than looking out the side windows. It's not a good idea to let them ride in the front passenger seat because of the dangers of air bags. Instead you could either use a specially designed dog seat belt or let them ride in a crate. Lowering your car windows a couple of inches while the car is moving helps balance the air pressure inside with the air pressure outside. It also keeps your car cool & well ventilated. Less food before travel, don't give your dog a big meal before you hit the road. Then right before the trip give them a small sugary treat (like jellybean) which is known to reduce sensations of nausea. But remember chocolate is poisonous to dogs so never use this as a treat. If your dog equates riding in the car with stress & sickness. Take a break from car trips for a couple of weeks. Go on short car trips to places your dog enjoys. Slowly building up your dog's tolerance to the car. Getting them used to approaching the car. Spend some time in the car with the engine off. Take trips around the block. Use treats to make the car a fun place. Give them a special toy just for the car. Your veterinarian can prescribe medication for you dog to prevent motion sickness. Your vet will be able to advise what's best for your four legged friend. Better understanding of inherited traits that may cause illness or affect your animals. Information to help you improve management and the wellbeing of your breeding dogs. Google Dog DNA testing for more info.